A developing area of low pressure will pass over the Ohio River Valley over the weekend. An area of snow will fall on the back side of the system. 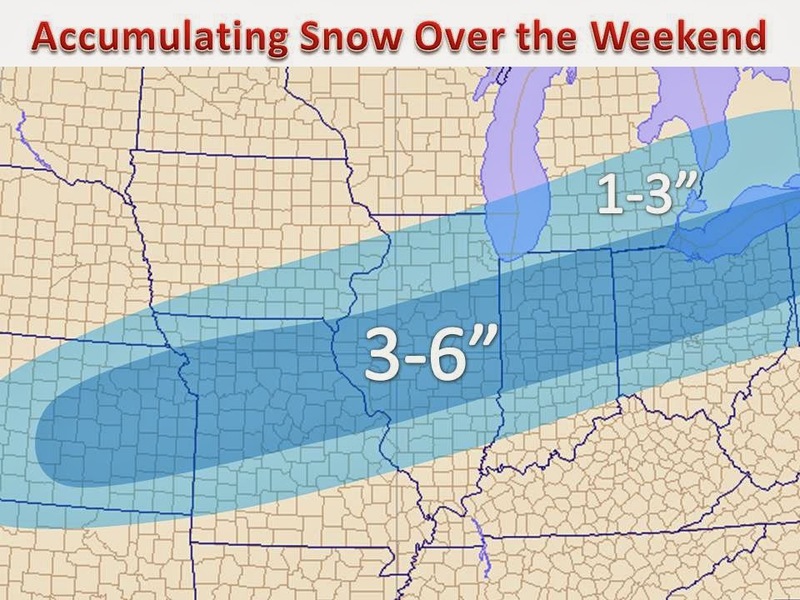 It appears that a general 3-6" snowfall will fall from Nebraska to Ohio. There may be some 7" amounts in isolated areas within the band.